We've got a lot of things in progress on Project Eternity right now. As Darren wrote in the last update, we're winding down our first prototype. We just did an audit of the work that remains from the first prototype and where we will be going with the next prototype. Our first prototype allowed us to prove a lot of the basics of movement, character design, stealth, combat controls, inventory, resting, quests, scripted skill interactions, dialogue, status effects, and the ability and spell systems. There's still a lot of work to do on all of those elements, but by the end of the prototype, it really did have "that IE feel". How I organized and moved my characters, how I used them differently in combat, how I explored areas very much captured the feeling of the Infinity Engine games in gorgeous high-res environments. So where do we go from here? First, we're going to try another approach to building interior environments to make sure we can capture as much of the organic feeling of the classic levels as we can. 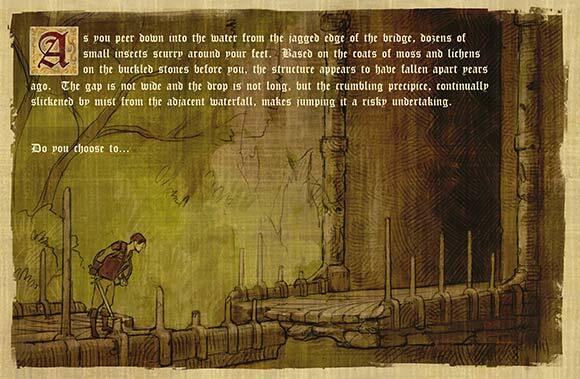 Second, we're going to continue to build up the dynamic elements of environment to make them feel more alive. We already have dynamic water, but we have more work to do on with elements like trees, grass, ambient visual effects, and our day/night cycle. We'll be showing you the results of those experiments in two weeks. Third, we're going to continue to develop more advanced gameplay features like fog of war, character voice sets, crafting, stores, AI patrols, and the melee engagement system. In case you're wondering about the story, we've been working on both a lot lately as well. We really want Project Eternity to strike the right balance of elements: to introduce you to this new setting, to make you feel personally invested in your choices, to engage you with the personalities and factions involved in the conflict, and to give you all of the freedom you've come to expect from an Obsidian RPG. It's a long process, but we're feeling very positive and excited about where we're going, which is always a good thing. Thanks for reading and, as always, thanks for your continued support. I'll be back in two weeks to show you our exterior environment running with all the bells and whistles in place! Back before Obsidian was a company, many of us worked at Black Isle Studios, the RPG arm of Interplay Entertainment. One of the games a number of us helped create was Planescape: Torment, an Advanced Dungeons & Dragons based RPG set in the Planescape campaign setting. As many of you already know, the guys at InXile recently launched the Torment: Tides of Numenera Kickstarter. They’re getting a lot of the “old band back together” to work on this thematic successor. One cool thing they’re generously offering to all Project Eternity backers (whether or not you back Torment) is a Planescape: Torment Retrospective featuring developer diaries and blogs from many of the original developers, including quite a few former and current Obsidian devs. They’ve got nine days left, so if you haven’t checked it out yet, we encourage you to do so quickly! Please join me in thanking Brian, Kevin, and everyone at InXile! 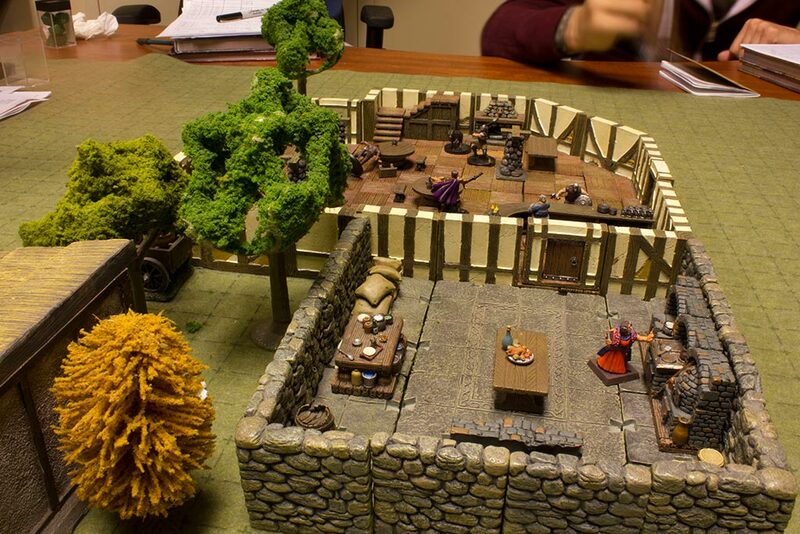 So, several of us on the Project Eternity and South Park teams are playing a D&D 3.5E campaign at lunch a few days each week. 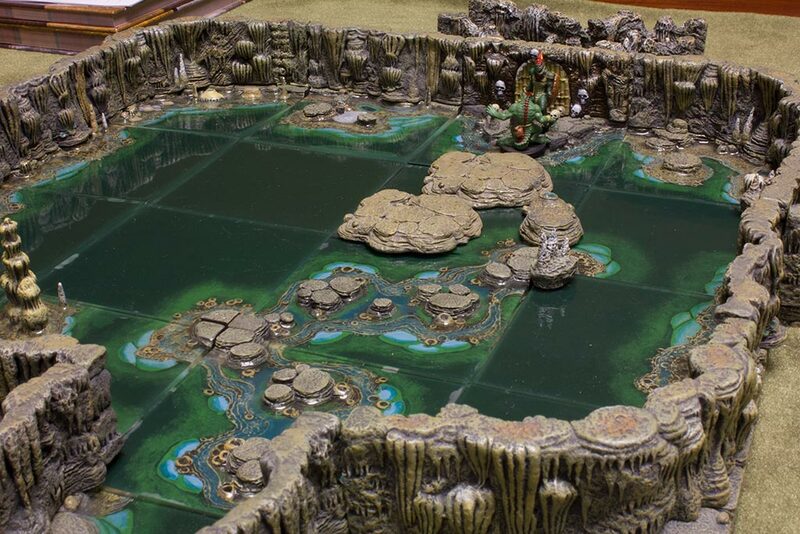 While they’re short sessions, this is no small production - we’re using a bunch of miniatures and tilesets for the campaign, many of which our DM (and Eternity designer), Bobby Null, has acquired over the years from Dwarven Forge. 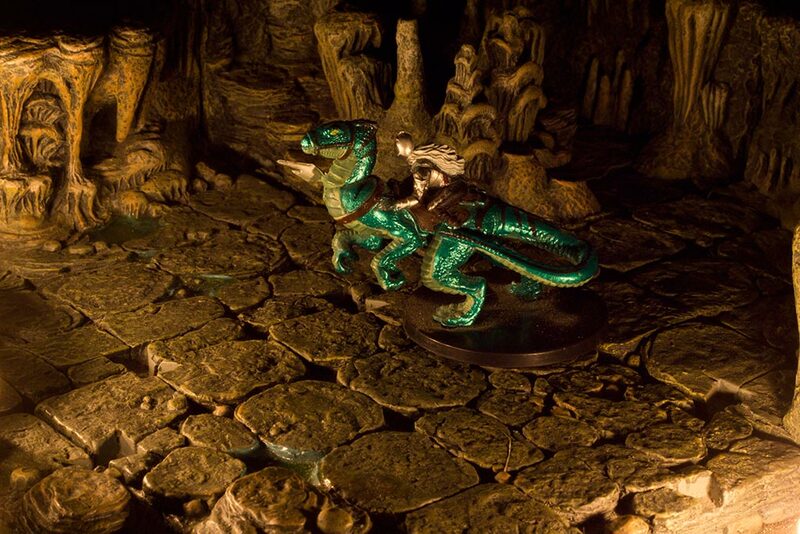 He came into work Monday incredibly geeked up because the folks at Dwarven Forge launched a new Kickstarter, which we got right into and backed. 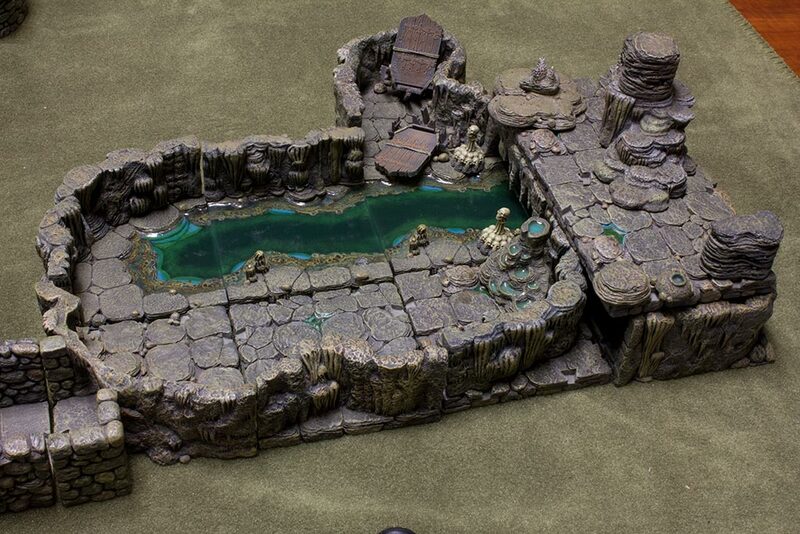 If you’re in to playing D&D and really want to get immersed, they make some incredible tilesets. Thanks, and we'll see you next week! OBSIDIAN ORDER OF ETERNITY - Officially sponsored most generously by Pierre and SD! i really hope you guys use those static screen skill checks (i don't know what else to call them. the multiple choice options you have at the top, with the jumping of the bridge) effectively. Make sure to give many many options to us, make sure that we don't have one every 5 minutes (you can have plenty, just don't let it mess with the flow of the game). I love the art for it, thus far. Finally, use this to make camping a resource management part of the game a la darklands. best of luck. will be waiting for 2 more weeks. Any word about the backer site? Now that's what I call a dashing hat. I can't wait to see the result of your experiments. This has the potential to become the best game ever. Actually, I would be kind of disappointed if it wasn't -- everything about it is perfect. 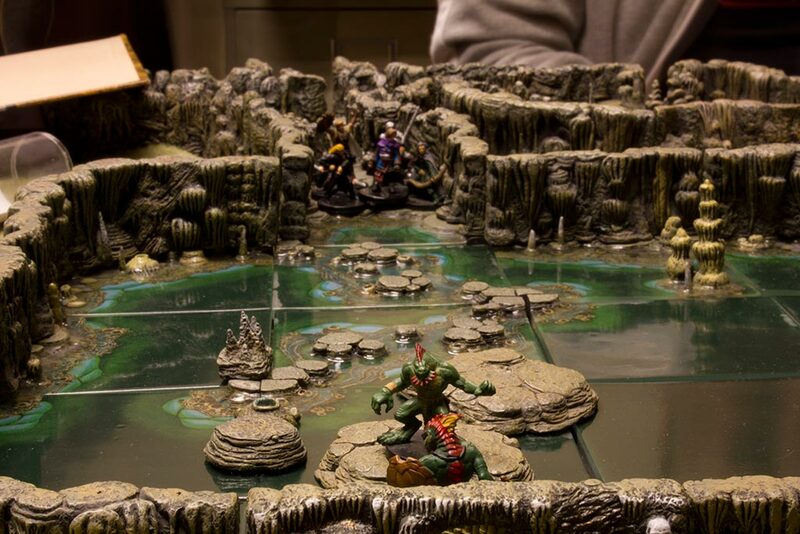 And those miniatures are kickass. 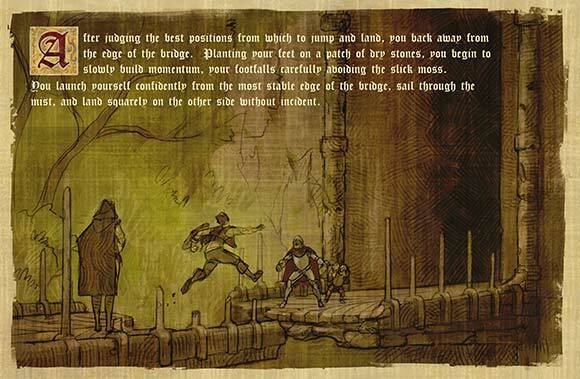 Also about the bridge jumping event....do you have to worry about companions not making it across? If they don't or can't make it then what....do they go back to wherever the unselected companions are or what? Wow. I've had my share of criticisms of the art shown for Project Eternity so far, but I really like the stuff shown in this update! I especially like that you're apparently commited to the colorful eccentricity that can pop up in late Medieval/Renaissance fashion. I love the stripes and the feathery hat. Can't wait to see the dynamic environments. Keep up the good work! Well I'm even more excited for this now. I didn't think that it was even possible to want PE even more. im sure they'll figure that out. it's the main concept that matters at this point. the details will come with time. 8D! Awesome update! It's exciting to hear about the things you guys are working on, and about your progress with said things. Also, that little bridge-jumping text-scription is one of the best things in this update! I totally made a topic about the use of skills (such as jump) for scenarios just like that! Hopefully that kind of stuff is in the game. I love art direction on character clothing and how well it work for both sexes. And I hope that those story arts mean that you are planning somehting similar for cut scenes in PE, because they are just so retro cool. Nice to read how the project is coming along. How will this look in isometric play view? Will Giant Feather Hat confer some kind of character bonus like Ego Boost, temporary charisma? Will it be extra flammable and reduce fire resistance? I love the idea of those baroque plates being used for skill checks in-game, or to convey some sort of interaction with the environment that would otherwise be a simple feedback message in the conversation box ... or some kind of psuedo cut-scene. 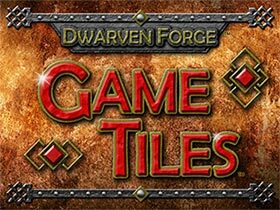 Dwarf Forge kickstarter? God I loved playing with that stuff in the past, you guys have some of the best pieces from what your pics show. I hope they do really well! It bears repeating, those static action scenes are a fantastic idea. 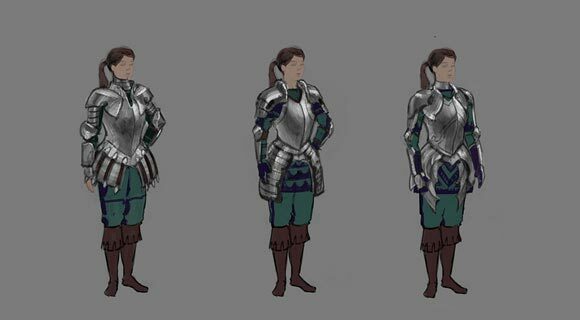 I also like the figure concepts, their aesthetics are great, except I have a few criticisms of the lady armor. 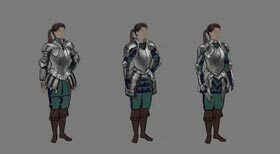 First, more of her chest is exposed under the throat than on the man armor thanks to the low cut style; that's pointless and dangerous. Second, the curve of the plate emphasises she has a bosom, in comparison to the man's armor. 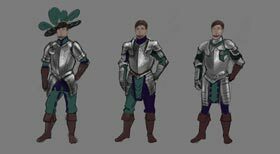 That wouldn't be an issue if the man's armor were similarly curved up top, as I have seen such an armor at the MET; however, considering that both armors are likely from the same region and time period, they should probably have the same kind of curve. 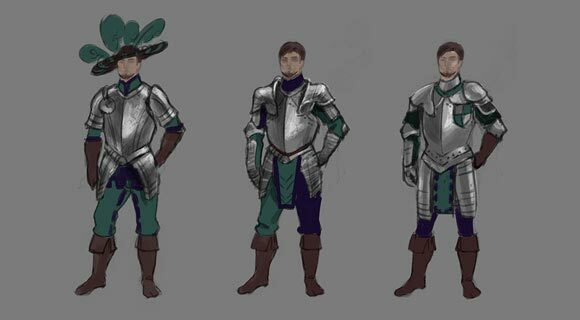 The main differences would likely be in the narrowness of the waste, and flair of the hip armor. By the way, I love the hat. 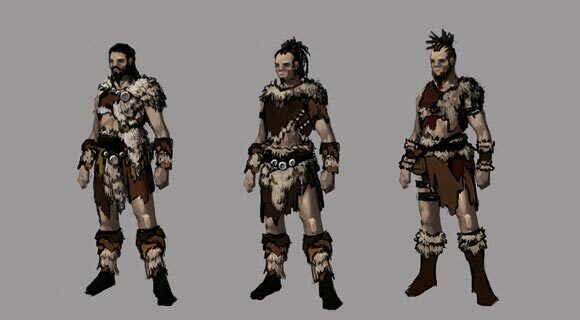 Additionally, I think it makes sense they wouldn't be wearing leg armor, since leg armor slows and wears a person out faster than upper armors. 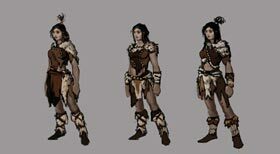 The barbarian clothes strike me as cave dwelling dinasour hunter style, rather than any real primitive society. I would expect neater hems, especially with the use of asymetry. The hat. I want one just like it. With orange plumes. I will wear it always. 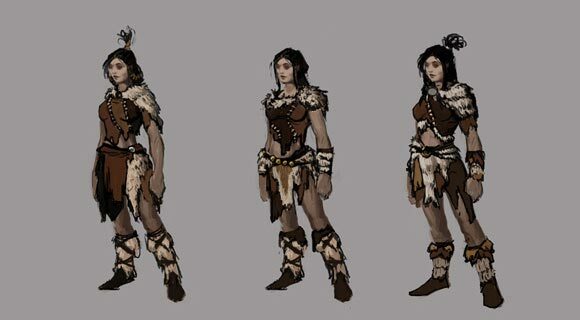 I want my fur-clad barbarian to wear the plumed hat. That would rock. Second, the curve of the plate emphasises she has a bosom, in comparison to the man's armor. I like the idea of those kind of images for action sequences but I would hope they are somewhat animated (like an animated storybook). 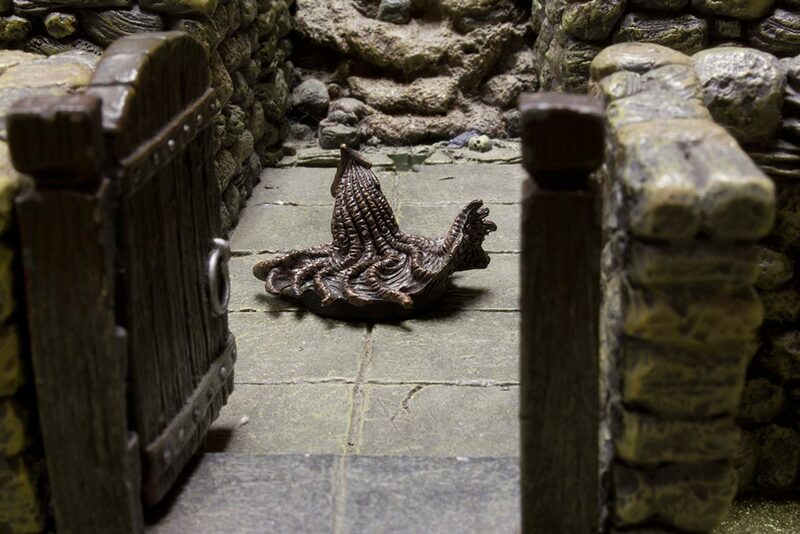 It doesn't have to be hyper-fluid Dragon's Lair like animation of anything (it could work being somewhat un-fluid or stop-motion-like if you get my drift). For the released images, for example, I would have some slight animation of the background so it looks like the trees are blowing in the wind (maybe with the occasional leaf blowing by). This would probably necessitate the images be made of various independent animated layers, I would guess. The character's eyes could blink a bit or maybe his head and body could shift a bit as he tries to gauge the distance. These animations would simply loop until the player made his choice. 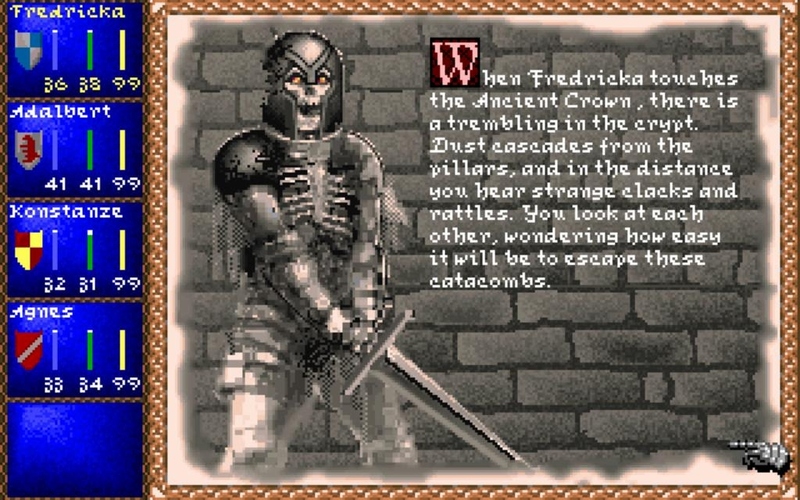 I remember plenty of oldschool games that had those kind of images and they often had at least some minor animation to them (Star Trail comes to mind).